Funeral services will be conducted Saturday morning, November 10, 2018 at 10:30 a.m. from the chapel of the Taylor Funeral Home. Place of rest will be in the Dickson County Memorial Gardens. Visitation will be Friday evening, November 9, 2018 from 5:00 p.m. until 7:00 p.m.
Linda, age 80, of Chattanooga, TN died November 6, 2018. She was preceded in death by her husband, Orr “Doc” Raines; parents, Jasper and Charlene Humphreys; and brother, Mike Humphreys. 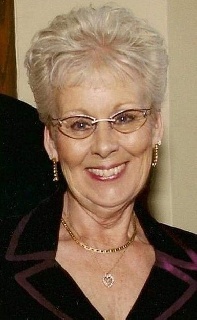 Survivors include her daughter, Debbie Bryan Hall (Bobby) of Atlanta, GA; brother, J. R. Humphreys Jr. (Brenda) of Dickson, TN; and several nieces and nephews. Also, Mrs. Raines had several close friends and neighbors whom she loved. Memorial contributions may be made to McKamey Animal Shelter.om. Taylor Funeral Home, Inc. has endeavored to provide the most up-to-date information for the families we serve. We trust that you will find the information listed on this website to be of value to you. Site Map | Copyright © 2015 Taylor Funeral Home, Inc.